Huaimei joined Wetlands International Malaysia as a Technical Officer in 2014. 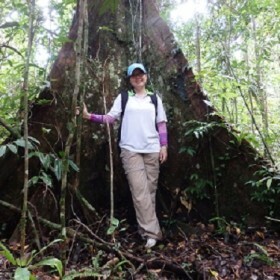 Her main focus is on peatland conservation and management for Malaysia and Brunei. Huaimei graduated with a Bachelor degree in Conservation Biology and a Masters degree in Ecology & Herpetology. Her passion for conservation drives her to promote awareness and increase recognition of peatland ecosystem services, peatland carbon emissions and subsidence rates among government, industries, NGOs, civil society and the greater public.